Daisy .177 Cal. Pointed Pellets 250 Tin | BUDK.com - Knives & Swords At The Lowest Prices! PrecisionMax ammo from Daisy is high-quality ammo that you can tell a difference with. 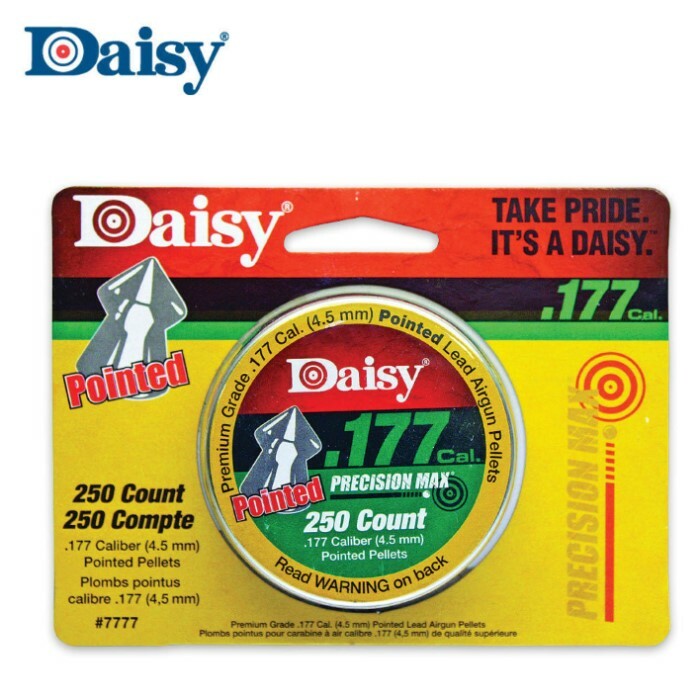 These .177 caliber pointed field pellets come packaged in a tin for easy storage.